COOPERSTOWN (Updated 1/2/2018) - Paul J. Lambert, former Principal and Superintendent of Schools for the Cooperstown Central School District and later Director of the Clark Foundation Scholarship Program, as well as a coach and well-respected member of the community, passed away late Wednesday night, December 27, 2017, at Bassett Medical Center in Cooperstown. A loving and supportive husband, father, and grandfather, he was 87. The Liturgy of Christian Burial will be offered at 10 a.m. Saturday, January 20, 2018, at St. Mary's "Our Lady of the Lake" Roman Catholic Church in Cooperstown. PORTLANDVILLE - Bernice M. Levine, 84, of Portlandville, passed away unexpectedly Monday evening, December 25, 2017, at Bassett Medical Center in Cooperstown. She was born March 11, 1933, in Springfield, a daughter of Leslie and Edna (Drake) Pierce. On May 10, 1952, Bernice married Paul J. Levine. For many years she was employed by the Cooperstown Central School District in their food service department. Bernice is survived by her husband of 65 years, Paul J. Levine of Portlandville; two children, Paula Jean Knoebel of Southampton and Alan Levine and wife, Patsy; grandson Joshua Levine; granddaughter Ashley Levine and companion, Angelo Tenace; a great granddaughter Ronnee Rae Tenace; many nieces and nephews; and a sister, Wanda Houck. She was predeceased by mother Edna Pierce who died in 2003; sister Ellie Schults who died in 1980; and son-in-law, Terry Knoebel who died in 2012. HARTWICK - Emily Weir Thorn, 96, of Cooperstown and Hartwick, passed away Wednesday night, December 20, 2017, at Focus Rehabilitation and Nursing Center at Otsego. She was born August 19, 1921 in Adams to Bower F. and Clara (Cleaver) Weir. When Emily was only two years old her mom died of tuberculosis. In 1925, the family moved to Fly Creek, where Emily attended a one-room country school. She later attended school in Cooperstown, and graduated with the Class of 1939. Emily married Kenneth E. Thorn on August 24, 1941, in a ceremony at the First Baptist Church of Cooperstown. Following her marriage to Ken, Emily lived most of her life in Cooperstown where she was employed at the Cooperstown Academy run by Herbert E. Pickett on Pioneer Street, and later Cooperstown Central School. From 1952 until her retirement in 1986 she was employed at the Mary Imogene Bassett Hospital, where she spent another 21 years as a volunteer in the hospital gift shop. 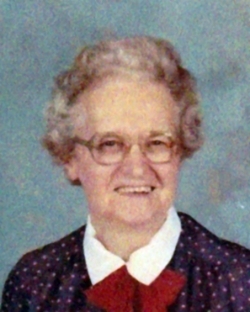 A member of the Hartwick United Methodist Church, she was also a member of the Native Daughters of Cooperstown and the Hartwick Senior Citizens. 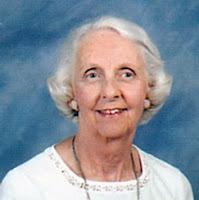 Emily loved to cook and bake and was famous for her homemade donuts, graham cracker pies and strawberry jam. She also enjoyed tending her flowers and taking care of the birds. Emily is survived by her children, Judith (David) Jackson of Oneonta, John (Barbara) Thorn of Hartwick and Janice (Jerry) Gage of Hartwick. She is also survived by 17 grandchildren, 30+ great grandchildren and great-great grandchildren, as well as a brother-in-law, Robert Hribar of Fly Creek, several nieces, nephews and cousins and friends too numerous to count. She was predeceased by her parents, Bower and Clara; her husband, Kenneth E. Thorn, who died February 17, 1971; two stepsons, Allen and Donald Thorn; two half sisters, Ruth Curran and Leta Jane Hribar; and two grandsons, Anthony R. Gage and Kenneth Strait. Funeral Services will be held at 11 a.m. on Tuesday, December 26, 2017, at the Hartwick United Methodist Church, with the Rev. Richard D. Howard, pastor officiating. Family and friends are invited to call at the Church Tuesday morning from 10 a.m. until the time of the service. Burial will take place in the Spring of 2018 in the Fly Creek Valley Cemetery in Fly Creek. In lieu of flowers, memorial donations may be made to Focus Otsego Serenity Place Activities Fund, 128 Phoenix Mills Cross Road, Cooperstown, NY 13326 for the benefit of resident needs. Donations may also be made to the Susquehanna Animal Shelter, 4841 State Highway 28, Cooperstown, NY 13326 or the Hartwick United Methodist Church, PO Box 44, Hartwick, NY 13348. MILFORD - Mickey Ryan, 87, of Milford, passed away Wednesday afternoon, December 13, 2017, at the New York State Veterans' Home at Oxford where he was given compassionate care after he succumbed to Alzheimer's. Mickey loved life and people, worked hard and played even harder. Born October 23, 1930, at home in the Town of Hamptonburgh, he was the son of Edward and Helen (Cutler) Ryan. He grew up in Maybrook where he was known for his baseball abilities. He continued to play baseball and later softball into his fifties. Mickey met his future wife, Carma Perrego at a skating rink in Newburgh -- he always said she was the prettiest girl there. On October 21, 1951, Mickey and Carma were married in Sacred Heart Catholic Church in Newburgh. He proudly served his country in the United States Navy on the USS Van Valkenburgh during the Korean Conflict. He often said that if he did not have a family, he would have made the Navy his career. Mickey went on to run a dairy farm in Campbell Hall, which was located next to the fire hall where he was proud to have always been the first one to answer alarms. In 1963 he fulfilled his dream by buying his own dairy farm on the Hinman Hollow Road in Milford, where he and his wife raised their five children. Mickey was very active in the Milford American Legion Post No. 1566 -- it was his second home. One of his favorite pastimes there was calling Bingo every Sunday night. He not only served as commander at the local level, but also served as the New York State American Legion Commander. Proud to be a lifetime member of the Milford Post, he was equally proud of being a lifetime member of the Sgt. Walter P. Eggleston Veterans of Foreign Wars Post No. 7128 in Cooperstown. During retirement from dairy farming, Mickey loved his work at the Leatherstocking Golf Course in Cooperstown, where his love of people shone through every day. Mickey was predeceased by his beloved wife of 58 years, Carma Perrego Ryan, who died September 18, 2009; his mother, Helen Ryan, who died while Mickey was serving overseas in the Korean Conflict; his father, Edward Ryan; his sister, Sylvia Orman; his aunts who loved him as a mother, Lucy Coville and Ida Berberick; and his loving out-law, Ken Kiser, who died November 1, 2005. Mickey is survived by his dear sister, Annie Snyder and husband, George of Campbell Hall; his five children, Patrick Ryan (Chris) of Campbell Hall, Deborah Kiser of Fly Creek, Mike Ryan (Chris) of Virginia Beach, VA, Sandy Strong (Mike) of Milford and Kelly Liner (Tom) of Cooperstown. He is also survived by his twelve grandchildren and 9 great grandchildren, Michelle (Chuck), Alex and Riley Hite of Connecticut, Christopher (Melissa) and Bentley Kiser of Cortland, Kristin and Isabella "Bella" Strong of Milford, Melissa (Josh) Ashlyn and Owen Spriggs of Youngstown, Michael Kiser of Florida, Ashley (Adam) and Elizabeth Wetherbee of Connecticut, Alicia (Scott) and Ayla Flint of Cherry Valley, Sean (Riann) and Taylor Ryan of Connecticut, Ryan (Megan) and Adalynn Strong of Richfield Springs, Kyle (Paula) Liner, and Derek and Brooke Liner all of Cooperstown and Sierra Truax of Campbell Hall. There are many nieces and nephews who will also miss their Uncle Mickey. Family and friends may call at the Connell, Dow & Deysenroth Funeral Home, 82 Chestnut Street, Cooperstown, from 3-6 p.m. on Sunday, December 17, 2017. The Liturgy of Christian Burial will be offered at 10 a.m. Monday, December 18, 2017, at St. Mary's "Our Lady of the Lake" Roman Catholic Church in Cooperstown, with Fr. John P. Rosson, pastor, presiding. Burial with Military Honors will be held in the Spring of 2018 in Milford Cemetery. Since music brought his mind back to life memorial donations in lieu of flowers may be made to the Music Therapy Department at the New York State Veterans' Home at Oxford, 4207 State Highway 220, Oxford, NY 13830. Memorial donations may also be made to the Milford American Legion Post No. 1566, P.O. Box 22, Milford, NY 13807 or to the Cooperstown Veterans Club, P.O. Box 1264, Cooperstown, NY 13326. BURLINGTON FLATS - Edward Casey Storck, age 69, passed into eternal life Tuesday, December 5, 2017, at his home in the Town of Burlington. A true conservationist, Edward worked as a Chief Operating Engineer for the City of New York (DEP) in the Grahamsville Water Treatment Plant, retiring in 2003. On October 11, 2002, Ed married Denise Taylor in Matamoras, Pennsylvania. After living in Orange County, Ed and Denise moved to Forestburgh in Sullivan County. After a romantic trip on Valentine's Day to Cooperstown, they decided to relocate to Otsego County in 2009 and made their home in the Town of Burlington. On April 13, 2016, Ed was Raised in Farmers Lodge No. 553, Free and Accepted Masons in Edmeston. Brother Storck truly enjoyed the brotherhood and fellowship of being a Mason. Ed is survived by his beloved wife, Denise Storck; their three children and four grandchildren, Chief Warrant Officer Elliott Weidel, USMC, his wife, Katylynn, and their children Leila and Liam of Okinawa, Japan, Michelle Galligan, FNP, her husband, Scott, and their children Hunter and Julie Grace of Cuddebackville, and Captain Michael Weidel, US Army, of Tennessee. He is further survived by his brother, Patrick Storck. The family will receive friends from 5-7 p.m. on Friday, December 8, 2017, at the Connell, Dow & Deysenroth Funeral Home, 82 Chestnut Street, Cooperstown. At 7 p.m. a Masonic Memorial Service will be conducted at the funeral home by Brothers from Farmers Lodge No. 553, F. & A.M. The Liturgy of Christian Burial will be offered at 10 a.m. on Saturday, December 9, 2017, at St. Mary's "Our Lady of the Lake" Roman Catholic Church in Cooperstown, with Fr. John P. Rosson, pastor officiating. Immediately following Mass, all are welcome for a time of refreshment and fellowship at the Masonic Temple at 13 West Street in Edmeston.